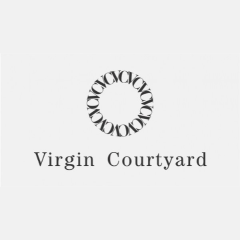 At Virgin Courtyard, the city's immerse themselves in a lazy mood - indulging in laughter and conversation. Drop in and experience a sunlit courtyard, where the mood is always set to bliss. Welcome to space reminiscent of a Spanish countryside, complete with sunbathed courtyard. Here, superb Italian-inspired fare and fine wines are the highlight of a peaceful afternoon or evening, with a surprisingly eclectic lunch and a dinner menu that's pure indulgence.